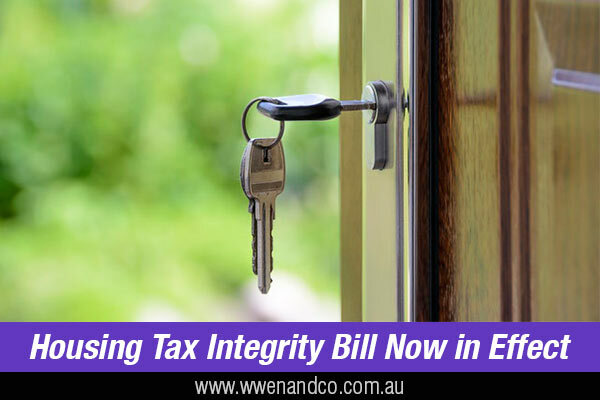 The “housing tax integrity” bill solidifies the government’s intention to deny all travel deductions relating to inspecting, maintaining, or collecting rent for a residential investment property. As well, second-hand plant and equipment that came with an investment property are now off the table as far as depreciation goes. These tax laws apply from July 1, 2017, and will affect returns for the current financial year. However, the changes to depreciation are dependent on when assets were purchased. The change to travel claims means that travel expenditure relating to gaining or producing assessable income from housing premises used as residential accommodation is no longer deductible. What’s more, travel expenses are not recognised in the cost base of the property for CGT purposes. It should be noted that the amendments do not affect deductions for travel expenditure incurred in carrying on a business, including where a taxpayer carries on a business of providing property management services. The government has also limited plant and equipment depreciation deductions to outlays actually incurred by investors. In other words, unless you as the buyer have physically purchased the items, you can no longer depreciate them. If otherwise depreciable assets came with the investment property you purchased, there is no longer an option to continue depreciating those assets you now own. For these new rules, the calendar dates determine if you are affected or not. The amendments apply from 1 July 2017 for assets purchased after 7.30 pm 9 May 2017 (when they were announced in the Federal Budget 2017). plant and equipment acquired before 1 July 2017 but not used to earn income in either the current or previous year. Investors who purchase new plant and equipment will continue to be able to claim a deduction over the effective life of the asset. the taxpayer is an “excluded class of entity”. The ATO says its aim is to “improve the integrity of the tax system by addressing concerns that some taxpayers have been claiming travel deductions without correctly apportioning costs, or have claimed travel costs that were for private purposes”. However, the ATO also explained that these measures are not intended to affect deductions for institutional investors in residential premises, as “the same integrity concerns do not arise for such investors”.